PR: As far as technical announcements at the 2006 Macworld Conference and Expo, nobody could compete with Apple CEO Steve Jobs' stunning introduction of new Intel-based Macintosh computers. Of the popular demonstrations taking place on the floor of the world's most comprehensive event for Mac users, nobody could come close to topping the standing room only crowds generated by Jamie Dresser, Product Manager and New Product Development, at the Other World Computing (OWC) booth. Acting on a challenge, Dresser performed a series of iPod battery replacements - fully blindfolded! "Other World Computing is proud to supply the best solutions available for technology users and we're also proud to employ the most talented technical experts for the direct benefit of our customers," said CEO Larry O'Connor. With his eyes completely covered with a seamless blackout blindfold, Dresser took iPods from audience members and went through the intricate technical process of opening the iPod casing without damage, removing the fading manufacture's battery, installing a higher capacity NewerTech NuPower replacement battery, and sealing the casing to a like-new appearance in perfect working order. Each step of Dresser's skill display was broadcast on an oversized, state-of-the-art plasma screen behind him, drawing audible fascination from the continually growing audience. "Never before has battery replacement been a spectacle event, much less one of the top draws at an international expo," said Jen Soule, Sales Manager. "It's a rare talent to make battery upgrades playful and exciting." Word of Dresser's blindfolded NewerTech NuPower iPod battery replacements quickly spread throughout the convention and media, drawing encore performances each day for standing room only crowds. Over the four day Macworld Conference & Expo, Dresser changed out batteries on photo; mini; and first-, second-, third-, and forth generation iPods. NewerTech NuPower replacement batteries, which retail for prices as low as $14.99 and provide up to 78% more capacity than factory issued power units, were used exclusively. "Do not try this at home," joked Dresser to the capacity audience as the blindfold was secured on him during each demonstration - referring to the act of replacing an iPod battery blindfolded. For the act of replacing MP3 player batteries with one's eyes open, however, Dresser points iPod owners to Other World Computing's website where QuickTime videos guide novices step-by-step through the installation process. If the hands and voice in the demonstration look familiar to those who witnessed Dresser's blindfolded demonstration at Macworld, it should come as no surprise that he is the expert providing the technical advice in the macsales.com/ipod installation QuickTime videos. Dresser has a perfect record of success in replacing iPod batteries - both standard and blindfolded. He has performed over 500 iPod battery replacements using NewerTech NuPower high capacity batteries. For customers intimidated at the idea of opening up their iPod to replace the battery, OWC offers replacement installation services with under 72-hour turn around. OWC's guarantee for customer peace of mind on iPod battery replacements? Simple and ironclad: Jamie Dresser personally supervises all OWC replacement installations booked through www.macsales.com - and he does it with his eyes open. "All iPod models have an internal, nonremovable, lithium-based rechargeable battery. A fully charged battery can provide anywhere from up to 8 hours to up to 20 hours of battery life, depending on the iPod model and its use. After about 14 to 28 days of nonuse, you will need to charge the battery. "Your iPod displays a battery icon in the upper-right corner of the screen to show approximately how much charge is left." PR: Belkin Corporation took the iLounge "Best of Show" Award for its new TuneTalk Stereo, a new voice recorder for iPod video. iLounge made the announcement on January 11, at the 2006 Macworld Conference & Expo in San Francisco. iLounge editors scoured both the International Consumer Electronics Show (CES) and Macworld Expo for iPod accessories that not only enhanced the iPod video and nano user experience, but that also stood out from the masses. Winners ranged from docking speaker systems and iPod remotes to cases. "Several companies have been working on microphone adapters for Apple's latest iPods," says Jeremy Horwitz, iLounge Editor-in-Chief, "but Belkin delivered the first actually working ones we've seen. We were impressed by TuneTalk Stereo's compact, double-microphone design and clean sound, which make good use of the new iPod's improved recording capabilities." One of the many new iPod accessories to be showcased by Belkin at Macworld, TuneTalk Stereo features two directional microphones and a speaker for instant playback. A line-in jack connects an external microphone or electronic guitar for recording. The first product to record in stereo and mono, it will be offered in both black and white when it is formally released. iLounge is an independent provider of information about Apple Computer Inc.'s iPod mobile digital devices, accessories, and related software, and is published online. Based in Irvine, California, the iLounge website is owned and operated by Dennis Lloyd's company, The Media LLC, and is not affiliated with Apple Computer or the manufacturers of iPod-related products. PR: This indispensable accessory lets you share your music and videos with a friend; great for car trips, plane flights, waiting rooms - anywhere you're in the mood to share. Plug SmartShare into the mini-jack of any iPod, MP3, CD, portable DVD player or laptop computer and invite a friend to a party of two. Since some partygoers like their music and soundtracks louder than others (you know who you are), Griffin has integrated a slim volume control slider into each of SmartShare's output jacks. Share your music, not your volume preferences. 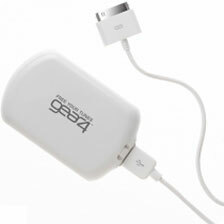 Great design, small enough to carry anywhere, makes SmartShare a must-have addition to any accessory bag. 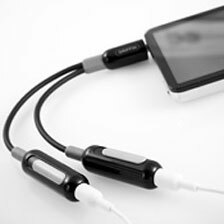 Works with: any iPod, or other headphone-capable devices. PR: Is there anything more frustrating than your iPod running out of battery while away from a power source? That's why you need the GEAR4 PocketPower, an iPod battery back up that fits neatly into your pocket. Especially designed for easy use and portability, the GEAR4 PocketPower will provide up to 8 additional hours of playback. The PocketPower can then be charged back up via USB. 8 hrs of reserve iPod power in your pocket! PR: TuffWrap Accent gives your iPod durable protection against scratches and bumps, and protects the screen and Click Wheel with optional inserts. This two-tone silicone case features stylish ribbed sides that not only look great, but also provide a comfortable and secure grip. TuffWrap Accent's tactile finish prevents your iPod from sliding on surfaces like the dashboard or center console of your car. PR: WCITIES, provider of travel and destination content, reveals the Top 20 CityGuide iPod Downloads. Since launching late last year, Pod CityGuides are rapidly filling an important niche in the travel content market. In 2005 alone Apple sold 32 million iPods, or over "100 a minute, 24/7," according to Steve Jobs, Apple CEO. Pod CityGuides allow you to customize your travel itinerary with the same ease and convenience that you program music on your Apple iPod. With tens of thousands of downloads from around the world, the Top 20 CityGuide Downloads indicate travel preferences among the hip iPod crowd. Pod CityGuides is the source for the coolest clubs, hippest hotels, trendiest restaurants, top attractions, and hottest events in more than 300 cities around the globe. Pod CityGuide lets you forget your calendar because the personal event guide keeps you up to date with timely events including movies, concerts, sports, theater, festivals and museums, in cities across the USA and around the world. Get tickets for these events at wcities.com. Pod CityGuides can be personalized with the WCITIES TravelBag, letting users customize their download. TravelBag enables users to select the clubs, restaurants, and events they want to keep track of and take with them. WCITIES supplies destination information and travel guides to travel providers and website operators. Select clients include Yahoo, Orbitz, American Airlines, and Sabre. This content gives locals, business and leisure travelers all they need to know about a particular city. WCITIES has a whole suite of downloadable travel products. The CityGuide lets user get an entire city's worth of content, and the Pocket CityGuide includes full mapping and navigation. Compatible with the world's most popular devices, WCITIES content can be downloaded for Nokia, Sony-Ericsson, Palm Treo, HP iPaq, and dozens of other brand names. Mac or PC formatted iPod, iPod firmware 2.0 or later. Last Generation iPods: With Party-Pod Pro allows you to access all features from the "Notes" folder on your iPod. The illustrations of drinks and drinking glasses are also included but only viewable on a Color Screen iPod. Party like a pro and be the envy of your friends the next time you want to have a good time. Party-Pod Pro - for a great time, anywhere you go. 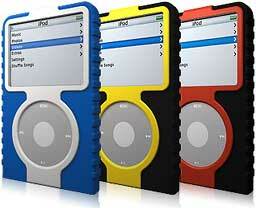 iPods with Color Screens: With Party-Pod Pro allows you to access all features from the "Notes" folder on your iPod. The illustrations of the top rated most popular drinks are included as well as pictures of common drinking glasses. All these can be viewed on the iPod's screen. Party like a pro and be the envy of your friends the next time you want to have a good time. Party-Pod Pro - for a great time, anywhere you go.